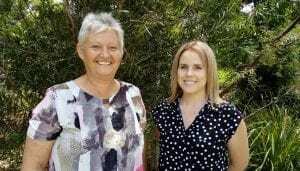 The Gympie Landcare team would like to introduce Lavina Shaw as the new Administration Manager and Regula Waser as Gympie Landcare’s Finance Officer. Lavina moved to the Gympie region almost ten years ago and has extensive administration experience and small business knowledge from working in various professional industries including accounting, the solar industry, plumbing, and irrigation. Lavina loves the outdoors and spends most weekends outdoors camping and hiking with the family and experiencing all that nature has given us. Being on the land is second nature to Lavina and she hopes to grow her own produce patch and orchard so that she and her husband can become self-sufficient. Lavina is also an avid animal lover and generously donates her time, knowledge and skills in marketing and fundraising to a local animal rescue group. Lavina is truly excited to be part of the Gympie Landcare team and is looking forward to the challenges that lay ahead. Lavina’s role is to oversee the general administrative processes of the organisation and to create further awareness about land care in the Gympie community through events, workshops, and marketing. Regula and her husband moved from Switzerland to Kununurra, Australia in 1988 where she was involved in a station south of El Questro. Regula and her husband’s task was to bring the badly overgrazed and understocked area back to life with the principles of Allan Savory. Regula continued to work as a bookkeeper for twenty years and after many adventures in Kununurra (including a plane crash, helicopter crash, and a crocodile attack), Regula felt it was time to move the family onto to bigger and better things. Regula set out to find the perfect place for her family and drove from the West Coast to the East Coast and found the perfect spot at Goomboorian. Regula and her husband purchased a 30 acre property and continually plant new trees, they have a vegetable garden, and have started to develop their own orchard. Regula and her husband are loving the farm life with their chooks and the beautiful surrounds of Goomboorian. When the advertisement came up for her position, Regula was instantly attracted to it and decided to apply, already being a life member. 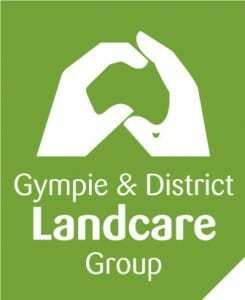 Regula is looking forward to a long lasting and satisfying future with Gympie Landcare.